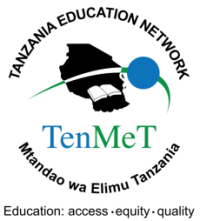 Am thrilled to bring to you the February newsletter from TEN/MET secretariat which reflects transforming realities of success stories of coalition member’s interventions on the ground. CSOs contribution to the education sector need to be quantifiable, measured, reported in order to show progressive growth in education sector as we complement the work of the Government. Each month in our newsletter we shall document and publish your stories. I urge you to submit the best of your organization in narrative, infographic and pictorial whenever possible. In doing so we register our visibility, we open up avenues for information sharing, we increase collaboration but again it’s a sure platform to communicate to the government the results of CSOs interventions to the education sector in the country. At the secretariat level we have had a handful of engagement with partners, members and stakeholders in various fronts. Currently, the secretariat is organizing and coordinating Global Action Week for Education(GAWE). Global Action Week for Education (GAWE) is an international annual campaign led by the Global Campaign for Education (GCE). The week is celebrated globally by the public worldwide to raise awareness on the importance of education. Every year, teachers and civil society members work towards raising awareness on different education related themes. Keeping in view, the upcoming Global Action Week campaign is themed “My Education, my Right”. The campaign focusing on Making the right to an inclusive, equitable, quality, free public education a reality. GAWE 2019, week is intended to support citizens and communities to claim their right to education, encompassing the realization of the full SDG4 agenda. GAWE is expected to be held in Tanga – Handeni Districts between 6th -10th May. I call upon all members to get involved and participate fully during GAWE week to be held in Tanga. The secretariat seeks your participation in three ways one; your organization presence in Tanga – Handeni and secondly your financial contribution, last technical advice to the task force organizing the logistics and administration of the event throughout the week. Please contact us for more information on ways you can better participate. As we are all aware, the secretariat has so far organized two thematic groups meetings in Morogoro and in Dar es salaam. Where the first meeting focused on identification and organization positioning to the specific thematic group while the latter focused on the generation of activities and budgets which shall eventually need collective resource mobilization. With thematic groups in place we also need to start strategizing better on increased information sharing among ourselves and continue to explore productive ways in which we can increase corporation and reduce duplication of efforts. I hope you find this month newsletter informative and experience sharing platform. Finally, I offer my thanks and appreciation to all who submitted articles to feature in Feb newsletter.